Good golly these things are fun. I’ve been playing away with them, while the poor black dog wants only a little finishing, and the cat project harumphs from the corner, wondering why it’s not even on the fabric yet. Don’t we remember we wanted that to be done by Christmas? I’m intrigued by the possibility of temari jewelry, so I’ve loaded up on 1/2 inch wooden beads and small styrofoam balls. We’ll see how that works out–getting the measurements accurate on an extremely wee mari might be a challenge. But it sounds like a fun challenge. 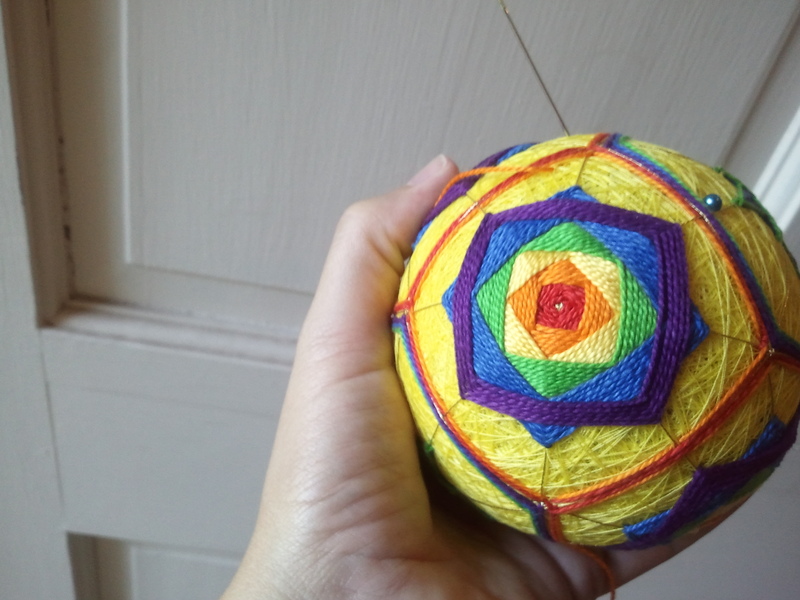 This entry was posted in Uncategorized and tagged embroidery, temari by Rene. Bookmark the permalink. I am so intrigued, having never seen this before. They are beautiful. Thank you! I’m a novice at making them, but they are fun and the results are lovely. 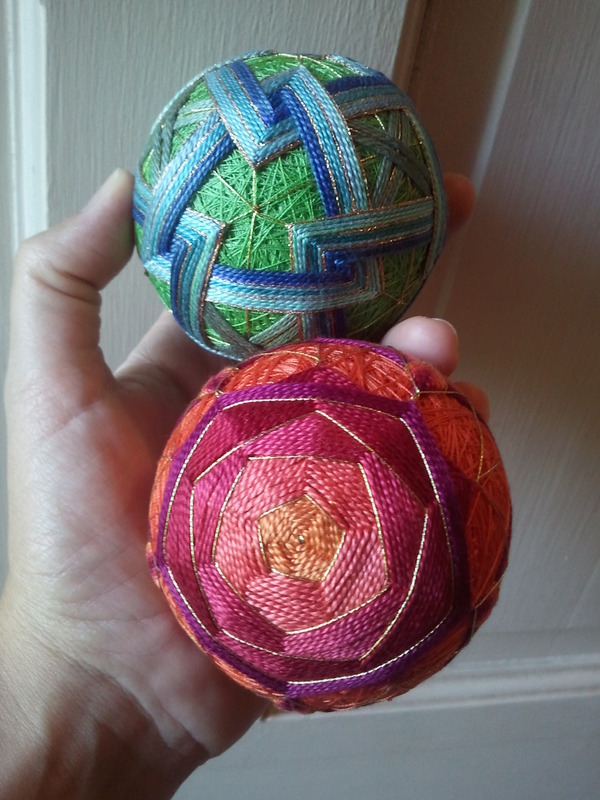 If you want to know more (or just look at some really gorgeous temari) I suggest: http://www.temarikai.com/, http://www.temari.com/, and http://www.japanesetemari.com/index.html, all of which feature some really stunnning work.